Dharmshala : Heavy rainfall has increased the water level in the Pong dam located in Kangra district of Himachal Pradesh, forcing the authorities to release excess water on Sunday, a dam official said. The water from the dam was released for the first time this monsoon. The dam on Beas river serves the irrigation requirements of Punjab, Haryana and Rajasthan. 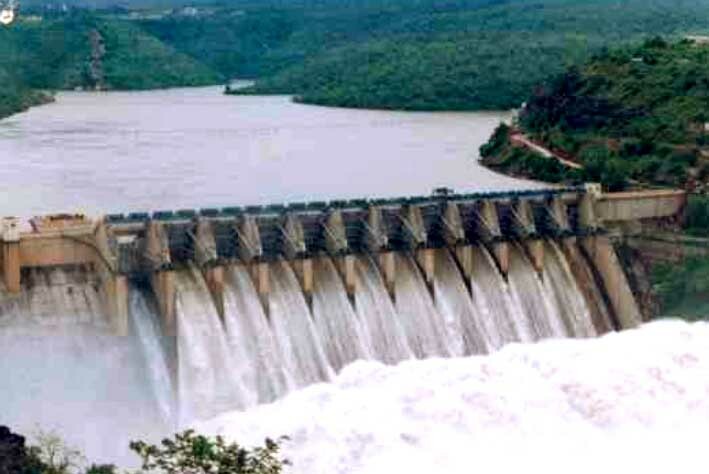 A total of 24,491 cusecs of water was flushed out through spillways and turbines, an official of the Bhakra Beas Management Board (BBMB), which regulates the dam water, told reporters. 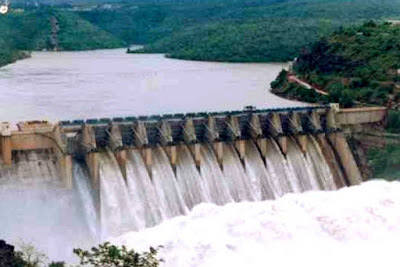 According to BBMB officials, a discharge of up to 50,000 cusecs is not treated as flooding the downstream.The dam authorities had issued an alert as the discharge could affect villages and towns mainly in Punjab. The water discharge, he said, would continue till the rainfall in dam's catchment subdues.The water level in the Pong dam stood at 1,379 feet on Sunday. The official data said the maximum capacity in Pong dam reservoir was 1,393 feet.